We offer you a great introduction to “smørrebrød” as we handpick the best local, seasonal ingredients, combine them with our regulars’ favourites and compose a “smørrebrød” menu, embodying the taste of Nordic summer – and Copenhagen – for food festival Copenhagen Cooking 2015. “Smørrebrød” (a.k.a. open-faced sandwiches) is an honoured Danish culinary tradition, and, some claim, the only truly Danish contribution to world gastronomy. 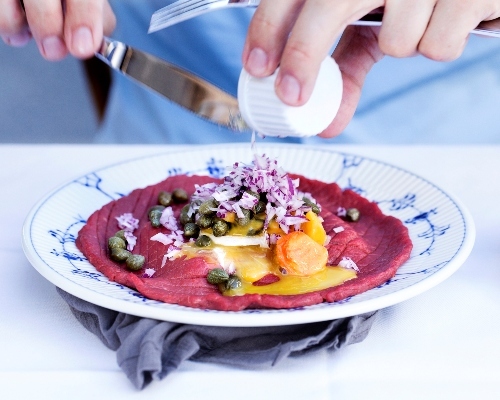 We offer you a great introduction to this local delicacy as we handpick the best local, seasonal ingredients, combine them with our regulars’ favourites and compose a “smørrebrød” menu, embodying the taste of Nordic summer – and Copenhagen. 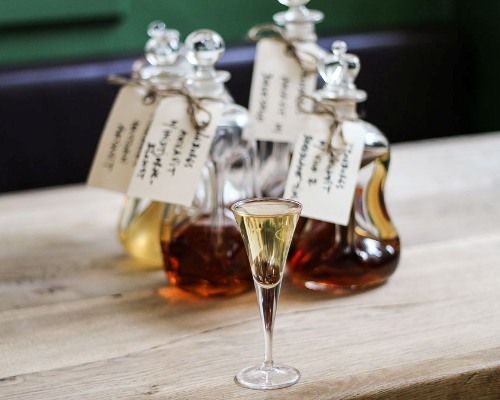 All our home-made aquavits have been infused with ingredients which have been harvested by hand in the Danish countryside; beech and hawthorn flower in spring, sea buckthorn, bog-myrtle and blackberries in summer and sloe in autumn. Several of the aquavits have matured for a year or more to get the right flavour. We celebrate Easter – and the coming of spring – with a lineup of new, home-made aquavits. 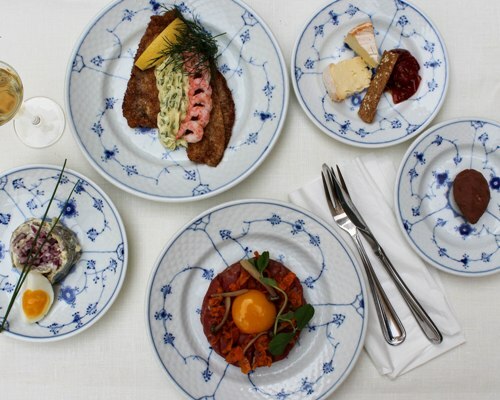 ”Prompt and very friendly service, an excellent menu, helpful waitress, SO tasty smorrebrod,” writes Barry G in his review of the traditional Danish lunch at Restaurant Kronborg and awards us five stars of five possible at Tripadvisor. 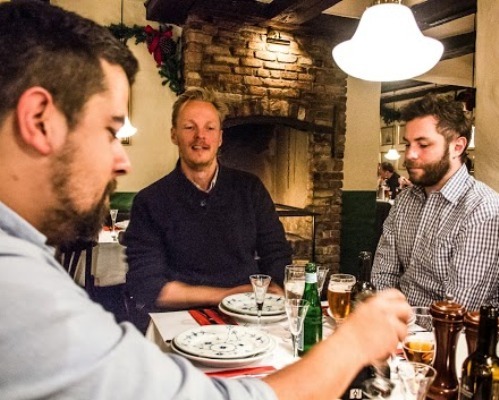 “I had a super cosy evening with great food, aquavit from Elsinore and lovely beers from Nørrebro Bryghus,” writes food journalist Mikkel Bækgaard about the premiere on our Christmas lunch 2013. ”The Christmas lunch at Restaurant Kronborg is DKK 379 plus drinks. I find this a great price for top rate Christmas food in large quantities. I therefore recommend it,” writes food journalist Mikkel Bækgaard. Kronborg Easter Akvavit 2012 has been spiced with cumin, dill, fennel and lemon peel. A touch of Oloroso Sherry adds extra depth and smoothness. Enjoy the full-bodied Kronborg Easter Akvavit with herring or our spring platter. Vinhuset Norden has just launched its Easter Akvavit 2012, a dark, spicy and full-bodied akvavit. It has been spiced with cumin, dill, fennel and lemon peel. A touch of Oloroso Sherry. Perfect for the herring at your Easter lunch or our spring plattter. Kronborg Akvavit has been spiced with cumin, fennel and a touch of coriander. 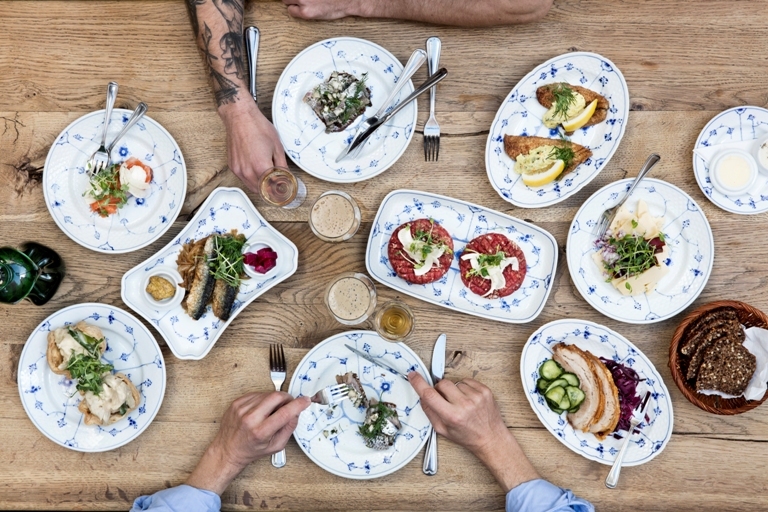 Try the full-bodied Kronborg Akvavit with herring at Restaurant Kronborg. 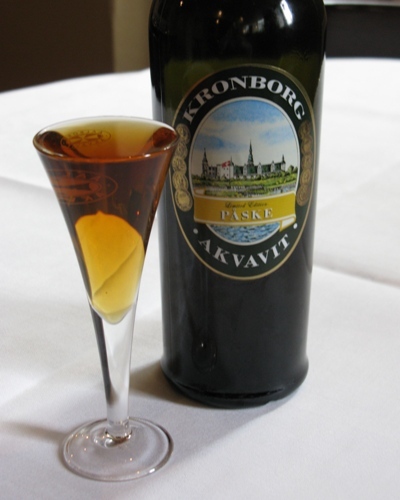 Kronborg Akvavit is a classic, crystal clear and full-bodied akvavit. It has been spiced with cumin, fennel and a touch of coriander. 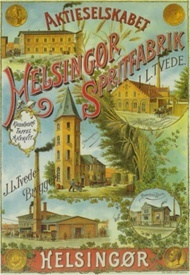 It was produced for the first time in 1842 by the family Tvede on their distillery in Elsinore. Kronborg Akvavit tastes great with fish, shellfish, herring and spicy food. Enjoy your Kronborg Akvavit with our curried herring at Restaurant Kronborg.